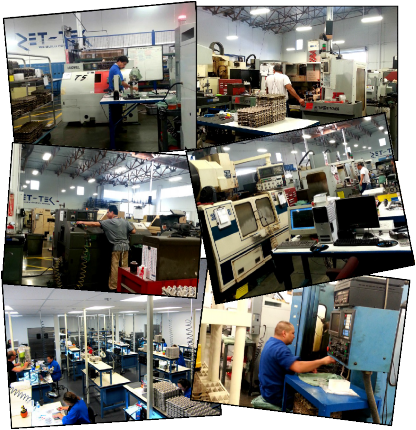 Utilizing the latest in computer integrated and conventional production machinery, Zet-Tek, Inc. has the capability to handle our customers most demanding needs. Our recently established procedures of AS9100/ ISO9001/ ISO 13485 demand our full attention to quality and give us confidence that we can handle high-volume orders and meet our customer’s quality and production requirements. Our secondary operation department is also computerized through an array of CNC milling, drilling and tapping equipment.